We need to recover a truth that has been all but lost in modern-day Christianity. It has been buried for too long, and it is too valuable to be forgotten. This life-changing truth is that the heart is the key to everything in the Christian life. The heart is the wellspring of all our actions, emotions, motives, and character. Everything we are, everything we say, and everything we do flows directly from the heart. 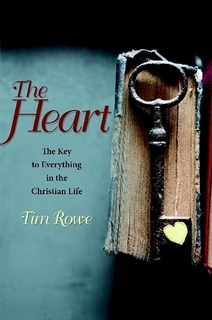 In The Heart—The Key to Everything in the Christian Life, believers will discover how the heart is central to spiritual growth and how it will help us better reflect the image of Christ in a fallen world. The heart is the key to our service and obedience to the Father. The heart is the key to the purity and depth of our worship, praise, and love of God. It is time the Christian church once again teaches a proper understanding of the heart so that we can fully embrace and manifest the life of Christ within us. The goodness of God is one of the most revolutionary truths of the Bible, but our generation has lost faith in the goodness of God. The image you carry in your heart of God and what He is like will dramatically affect your life, character, and destiny. Do you believe God can be your hero? Do you believe God has a good heart? 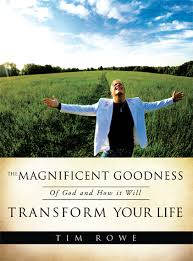 Do you believe that God can transform you into the type of Christian that you always wanted to be? When we begin to understand and believe what it means when the Bible boldly declares that “God is good always,” our lives will begin a breathtaking transformation, as we rise up to be a mighty witness for our Lord. Anyone who has been touched with the goodness of God cannot come away the same. The goodness of God encompasses everything that God is, and is a perfect representation of all His characteristics. The goodness of God is the foundation of all His works, plans, and purposes. If we are to understand what God is like, we must first know that He is good, and not evil. The devil works tirelessly to keep the truth of the goodness of God lost in the mindset of this world, and marshals all of his forces to cause confusion about the true character of our God. The goodness of God is the pinnacle point of the spiritual battle that rages all around us. Understanding the goodness of God is first and foremost in spiritual warfare, because without this, you can never stand for God faithfully. The book is called “The Heart: The Key to Everything in the Christian Life.” But it is still in the editing/publishing stage and will not be available to the public until the end of this year or early next year. Thanks for your interest and I will make sure I let you know when it is available to the public. Thanks for watching the show. Ok I see the goodness of God is your first book, but on the tv show you said that you wrote about the parable of the soils.